MODULAR HOME BUILDER: Hello! 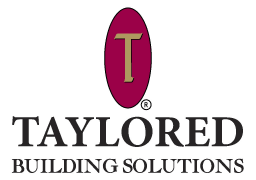 Has Anyone Heard from Taylored Building Solutions? UPDATE 2:35 PM 9/5/12: I have been getting a lot of less than polite emails about Taylored Building Solutions but I will not publish them because nobody is willing to sign their name. Starting several weeks ago I started to get comments on Modular Home Builder about Taylored Building Solutions in northeastern PA not returning phone calls. So Modcoach tried calling several times and as of today...no reply. Other people in the modular business and a couple of builders have also contacted me to ask if I've heard anything about them. Nada...nothing so far. If you know anything about this company or work for them and want to contact me and let me know whether they just have a bad phone system or are having some other problems, please let me know. As a builder who has purchased several homes from them, I would say that they seemed to be on pretty shakey ground. We had to kick and scream to get our projects on the line and our sales rep let it slip that they were extremely short on cash. It's a tough business. There seemed to be a fair number of well-meaning people at the company, but also had a lot of trouble with basic organization issues. I would honestly be surprised if Taylored survives the year. Hello, We are desperately trying to find out if Taylored is open. My parents have been waiting for their home for five months. We are so greatful for your blog that has kept us in the loop. We are going to have some friends and relatives do drive-bys this week to see if the place is open. The GC said production was starting again. We will keep an eye out on your blog for any news. Thanks again. I spoke to someone today at Taylored. I was told they were having a meeting this afternoon to decide when they were going to re-open. I was told I would be informed of what happened and to no suprise I again recevied no return call or update. My builder ordered our house in June. We have been given several different delivery dates and are now told October 9th. Taylored how can you deliver anything if you are not open?? I am stuck in a contract with my bank and Taylored and can't get out of it. Anyone know anything?? Will they ever have enough money or materials to open?? The ownership tends to make a lot of promises they can't fulfill. If anyone has a project on the line or has given over a deposit, they need to call an attorney and develop a strategy. Unfortunately, it's generally the builder who is on the hook in this instance. But sitting around and hoping everything goes well isn't going to help anyone. You have to be proactive and salvage what you can. Well no one called or emailed me today to let me know what happened with the important meeting they had this afternoon to decide when they are going to re open. The only honest nice person there is their receptionist. I have a deposit on our home to the amount of $12,000. They will not let us out of the contract with them even though they are not open. I am living in a camper waiting for a house. I wanted to order from another company but Taylored contacted my bank and said I have to fulfill my contract. Anyone have any idea how I can get out of this contract?? Here is my phone and email any information is greatly appreciated. It's getting cold and I need a place for my family to live. Taylored you are a horrible company that does not care at all. Cheri, you need to consult a lawyer ASAP!!! Taylored is done. Expect to see the doors closed within the next few weeks. They cannot survive the negative reputation they've developed over the latest problems. Who would be willing to place another contract with them even if they do get alleged investors to bail them out? And who would want to invest in a failed management team?